We recently took on a client club whose sales were on a steady decline. Of course, we heard the normal push-backs such as to much competition, time of year, rates are too high, marketing is not working, etc. One of the first things we will normally do is listen in to call-tracking results on incoming calls – most of this is tied to direct mail marketing. In this particular case, a prospect called in asking about membership rates. Not only did the club representative not follow the provided script, but when the caller volunteered that she may have called the wrong club, the club rep offered to find the phone number of the competitor. You may be thinking this was a new rep that was answering the phone prematurely…..unfortunately, it was the club manager. Do you know what your salespeople and front desk staffers are saying over the phone? 92% of customer interactions happen via the phone. 85% of customers report dissatisfaction with their phone experience. Do you have a written phone script? If not, you need to get one and it should be memorized to the point of being second-nature. Regular training and role-playing should be done to be sure everyone is on track. And be sure to listen to your call tracking notes…this will only be important to your staff, if it’s first important to you. You must inspect what you expect. A customer is 4 times more likely to buy from a competitor when ignored. Many clubs will put a significant effort into getting the phone to ring and people to walk through the door, but then don’t maximize the opportunity to increase membership sales when the salespeople fail to follow up. The biggest reasons we find salespeople do not follow up like they should – they simply don’t know what to say. Web leads, for example, on average, require 8 attempts before contacting….you may speak to some web leads right away which means someone else make take 16 attempts. The key to successful follow up is to commit to it, get creative on different ways to do it and understand that speed is power. Do you know what your salespeople are saying? Can your salespeople pass the test? Now, go learn that script! Jim Thomas is the founder and president of Fitness Management USA Inc., a management consulting and turnaround firm specializing in the fitness and health club industry. With more than 25 years of experience owning, operating and managing clubs of all sizes, Thomas lectures and delivers seminars and workshops across the country on the practical skills required to successfully build teamwork and market fitness programs and products. 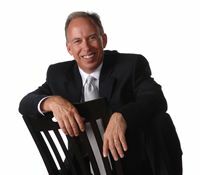 Visit his Web site at: www.fmconsulting.net or www.jimthomasondemand.com.